Spencer Savings Bank, a community bank headquartered in Elmwood Park, N.J., has re-elected three members to serve on its Board of Directors through January 2019. 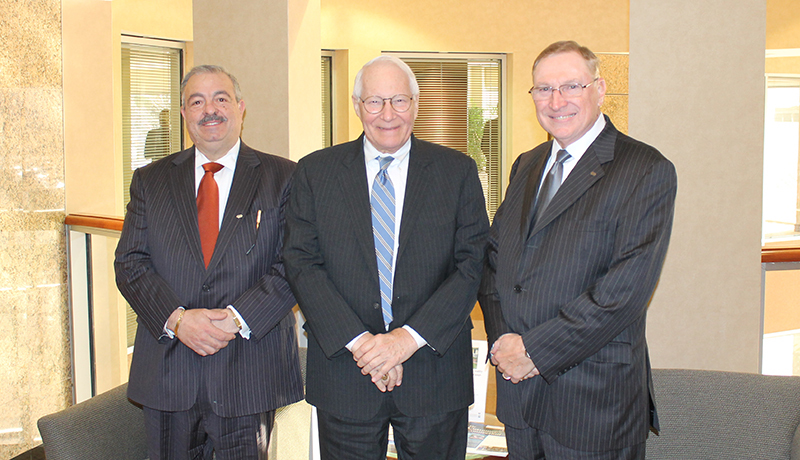 Albert Chamberlain, José B. Guerrero and John S. Sturges each accepted their offers for re-election at the bank’s 2016 Annual Meeting held on January 23rd in Elmwood Park, reaffirming Spencer’s leadership and continued success. Albert Chamberlain has served as Director of Spencer Savings Bank since 2006. He was previously employed with the bank as a Vice President & Treasurer from August 2003 to March 2005. Mr. Chamberlain brings years of experience in banking and treasury. José B. Guerrero has been with Spencer Savings Bank for more than 35 years. He has served as Chairman of the Board since January 2005, and as President and Chief Executive Officer of Spencer Savings Bank since January 1995. He became a Director of the Board in 1991. Mr. Guerrero is also an active member of the NJ Bankers Association. John S. Sturges has served as Director of Spencer Savings Bank since 2007. He was previously the President of Siebrand-Wilton Associates, Inc., and also served as Managing Principal of the company’s Benefits and Compensation Design Group. Mr. Sturges is an active member of the Human Resource Planning Society, Society for Human Resource Management, World at Work, and the International Foundation of Employee Benefits Plans.